Plenty of menopausal women take calcium supplements. The deficiency of magnesium can cause many problems such as anxiety, aches, pain, constant hot flashes, and night sweats. Unfortunately, not so many of us know about magnesium and how it correlated with calcium. What is interesting that mainstream health practitioners do not have a clue why menopause is so difficult to bear. Do I joke? No, because after reading the article from Chicago Tribune I was surprised by the lack of knowledge. Honestly, I lacked this knowledge too. However, after reading Dr. Carolyn Dean’s articles, books and answers about various issues, I got the picture. Do You Know About Importance of Magnesium? Magnesium is a mineral worth to bother everybody who wants to listen. If he or she runs away, I write blogs. I know when people hear about something that continuously repeated them, they finally got the bulb switched on in their heads. Eureka! How did I not think about it before? I know that it happens. It happens with everything starting from relationships and ending with the misery of constant migraines or lack of energy. We can deal with other problems, but our health is not a joke. We see signs and constant reminders that something is wrong or different. Longer we hide heads in the sand as Australian Emus, the more the problems become heavier. A few people decide to look for options and take reins in their hands. Okay, back to the business. The similar title got my attention when I searched Chicago Tribune’s newspaper. I know that transitional periods are not the best condition and there is no fun. However, I was surprised that hot flashes are the medical mystery. I know many ladies who went through menopause. They did pretty well just with the positive attitude, right diet, and natural supplements. I can not tell what it works for the whole world. If menopause were so natural to deal with it, we would not have so many options how to treat it. Let’s check out that this article provides for us. In this article, Carolyn Crandall, a professor of medicine at UCLA’s David Geffen School of Medicine told what they do not have an answer what is the cause of hot flashes. Later I read that is not clear what causes this process. There are options how to deal with menopause such as hormone replacement therapy(HRT), changes in lifestyle and mindset. Unfortunately, there is a dark side to hormone therapy. The major trial showed that using artificial hormones triggers increased risk for heart disease and breast cancers. I do not see here any fun ever because artificial hormones are different from ones produced by the body. Dr. Crandall weights options such as bioidentical hormones which can be approved by the FDA or not. Estradiol approved by FDA. Other hormones such as compounded bioidentical, custom blended for the patient are not accepted. The agency points out that there is not enough evidence about safety and effectiveness. Compounded bioidentical hormones are custom made for each patient. We are different in all ways. The endocrine system is not an exception. FDA can not control hormones which are produced specially for the patient. I mentioned above that plenty of women take calcium supplements, especially at the time of menopause. Nobody wants to break bones for sure. Unfortunately not all calcium supplements absorbed entirely, especially at the cellular level. Most of the calcium stays in soft tissues, blood vessels, and organs causing calcification. Conditions such as gallstones, kidney stones, atherosclerosis, fibromyalgia, and breast tissue calcification can occur. Natural supplements such as ReCalcia and ReMag can help deal with menopause symptoms. Women who take ReMag, mention that night sweat decreases, hot flashes too. Insomnia disappears, anxiety, rapid heartbeat, depression move away. Isn’t nice? One woman told that she had problems with menopause three years already. 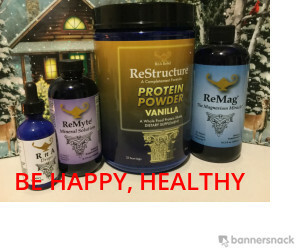 Taking ReMag magnesium supplement, she felt the difference after ten days. Her symptoms disappear completely. Besides magnesium herbal remedies are efficient. You can read more about various herbs here. Some of the health practitioners does not know why hot flashes occur. They doubt what could help to deal with menopause symptoms. Hormones which are approved by FDA, bring risks such as heart diseases and breast cancer. Other hormones such as compounded bioidentical explicitly made for the particular person, do not have FDA approval. Natural supplements are such as ReMag, the liquid magnesium, absorbable at 100 percent at the cellular level work without side effects. 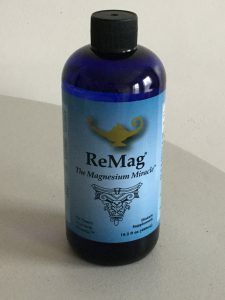 ReMag is only one magnesium supplement on the market which goes to the cell. 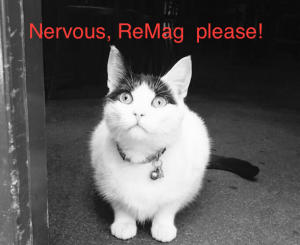 You can check more about ReMag here. Herbs, the right diet, and lifestyle can help rid of menopausal symptoms. There is no risk involved. If you have question or thoughts regarding topic, please leave a comment below.